Kai Whitney is the man behind Redbridge Capital Consulting, a trading research, consulting, and mentoring Services Company. After earning his BA degree from the University of California in 1994, Kai immediately began his Wall Street Career. 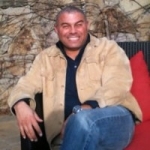 For 13 years (1995-2008), Kai Whitney has worked for various reputable financial institutions. He sells trade mentoring program along with trading products and services. At Redbridge Capital Consulting, we track institutional money flow through government and corporate filings such as COT Commitment Of Traders reports, 13d’s, S4 filings as well as both block trades and large trade imbalances over time. Why Kai Whitney offers a trader mentoring program?